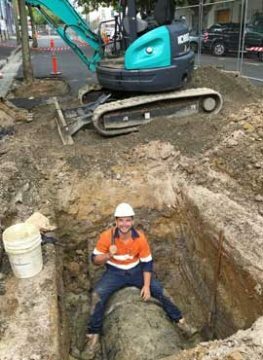 Lateral Plumbing Solutions offers professional civil services for a range of projects, including pipeline construction, non destructive digging, benching excavation, and other services for civil works in Melbourne. Our civil drainage contractors boast a high standard of workmanship and customer service that’s unmatched by any of our competitors. 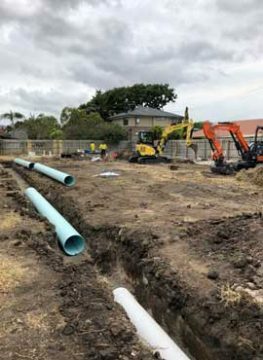 When excavation is required for installation or maintenance of a plumbing system, Lateral Plumbing Solutions can provide shaft, shielding and benching non destructive excavation in Melbourne to minimise risk by improving stability. Adhering to all Australian standards for excavation work, our civil drainage contractors in Melbourne can safely carry out non destructive digging for a range of civil projects. Our pipeline construction contractors can assist when brand new pipelines are required. We can provide trenching and pipe laying for the private sector as well as local and state governments. We also maintain exemplary safety standards, apply stringent environmental procedures, and deliver regular training and performance monitoring programs for our staff. Hydro excavation, also known as non destructive digging, uses vacuums along with high-pressure water as an alternative to excavating soil the traditional way. 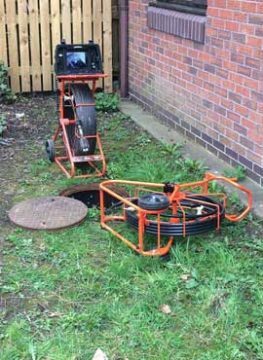 Lateral Plumbing Solutions can carry out non destructive excavation to help locate underground utilities such as power cables, gas lines and sewer lines, ensuring minimal damage and disruption. To learn how you can benefit from our professional civil services, including pipeline constructions and non destructive excavation, stormwater drainage contact our helpful civil contractors in Melbourne today.